More and more, athletes—some as young as seven years old—are focusing on a single sport all year long. This early hyper-specialization can cause burn out and injuries, resulting in fewer children participating in sports. A growing body of research finds that in order to create healthy, well-developed athletes, kids should play more than one sport during their formative years up to at least 12 years of age. This is the driving force behind why ESF’s re-imagined sports camp, SportsLab, Powered by Under Armour, focuses on providing a multi-sport platform for its campers. Jacobs came to ESF Camps after 40 years of coaching soccer which included an unprecedented 25-year run as the Head Boys Soccer Coach at St. Benedict’s Prep in Newark, NJ., where his teams were crowned National Champions six times. He is still recognized as the coach with the all-time highest winning percentage for boys’ soccer, at a staggering 94 percent. Jacobs has been instrumental in launching SportsLab, Powered by Under Armour, where sports and character intersect for the development of a young athlete’s mind and body. During his career, Jacobs found that his most successful players were multi-sport athletes. 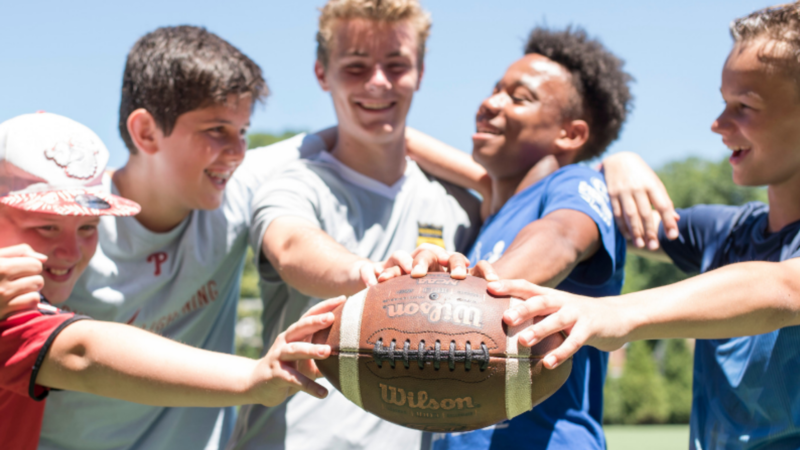 In addition to character building, SportsLab’s multi-sport platform gives players the opportunity to learn different skills and gain exposure to a broad variety of sports they may want to pursue in the future. College and professional coaches are on the record as saying that they would be much more interested in a multi-sport athlete up to age 12 who then specializes in a particular sport after they have been exposed to other sports.